Is Pure Electric Car Cheaper To Run Compared To Gas Powered Vehicle? Home/Electric Car Benefits/Is Pure Electric Car Cheaper To Run Compared To Gas Powered Vehicle? 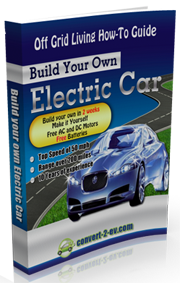 An electric car is a plug-in battery powered automobile propelled by electric motor. Electric cars were very popular in the late 19th century and early 20th century. However, significant developments in internal combustion engine technology and production on large scale cheaper gasoline cars resulted in the decline in demand for electric cars. Though the energy crises in the ‘70s and ‘80s made people to look for electric cars again, this interest was only short lived. Nevertheless, there has been a revival of interest in electric cars in the mid-2000s and their manufacture picked up mainly because of soaring prices of gasoline and the need to curb emissions of greenhouse gases. Many models of electric cars, like REVAi, Nissan Leaf, and Mitsubishi i MiEV are now available in some countries since the beginning of 2011. The re-emergence of electric cars has generated a lot of debate. Many questions are being raised about the utility of electric cars. Many people want to know whether electric cars are really cheaper to run than the usual gasoline cars and whether they are as efficient as gasoline-run cars. An analysis of running and maintenance costs of both types of cars reveals clearly that electric cars are much cheaper and more efficient than gasoline cars. Electric cars are more efficient than gasoline-powered cars because one dollar of electricity gives more mileage than one dollar of gasoline. Subject to certain exceptions, basically, a car converted to electric run car at home is 30% more efficient than a car run by gasoline. Several factors need to be considered for comparing running and maintenance costs of both types of cars. Electric cars run on lead-acid batteries and their useful life is three years. The batteries are, therefore, required to be replaced after every three years considering normal usage and wear and tear. A new battery pack costs around US$2500. This cost should be apportioned over three years, when working out annual operating costs of an electric car. Depending upon the type of lead-acid battery fitted in the electric car, one or two gallons of distilled water are needed every three months to top up the batteries. Although distilled water does not cost much and if necessary, water can be distilled at home, still, it is a cost that needs to be considered for working out running costs. The major element in the operating cost is cost of electricity. Assuming that the car is driven 10,000 miles each year and that four miles drive would consume one unit or one kilowatt hour of electricity, the electricity cost per mile works out to 3.75 US cents per mile, with cost of electricity per unit being around 15 cents. For 10,000 miles run annually, cost of electricity per year would be around $375. The proportionate cost of replacement of a pack of batteries amounts to $833 per year. The other major cost components consist of insurance, road tax, if applicable, cost of tires and miscellaneous costs associated with wear and tear. The total running costs of an electric car, after considering all expenses excluding depreciation, are likely to be in the region of $1700. Depreciation cost is considered negligible, as prices of electric cars are expected to be stable. As compared to this, according to the figures provided by the US Department of Labor, while the average expenses of gasoline and motor oil are around $2227 per year, other expenses associated with gasoline run cars, like costs of engine components, exhaust pipe repairs and fluid replacements would be around $2355 per year. Considering price of gasoline at US$ 2.20 per gallon or even lower, the total annual running and maintenance costs of maintaining a normal gasoline powered vehicle works out to about $4582. Even without taking into account certain incentives extended to those who own electric cars, such as tax breaks, refunds and also other incentives, like free parking, carpool lane access and public charging, maintaining an electric car is much cheaper than the gasoline powered car. Any increase in prices of gasoline and oils will, automatically, result in further increase in the cost of running a gasoline powered car and in comparison; the cost of driving an electric car would become further cheaper.